Ever been to a Quick Fixx group fitness class? It uses High Intensity Interval Training (HIIT). It’s a quick, 30-minute class and will be very effective in burning calories during and after the workout. 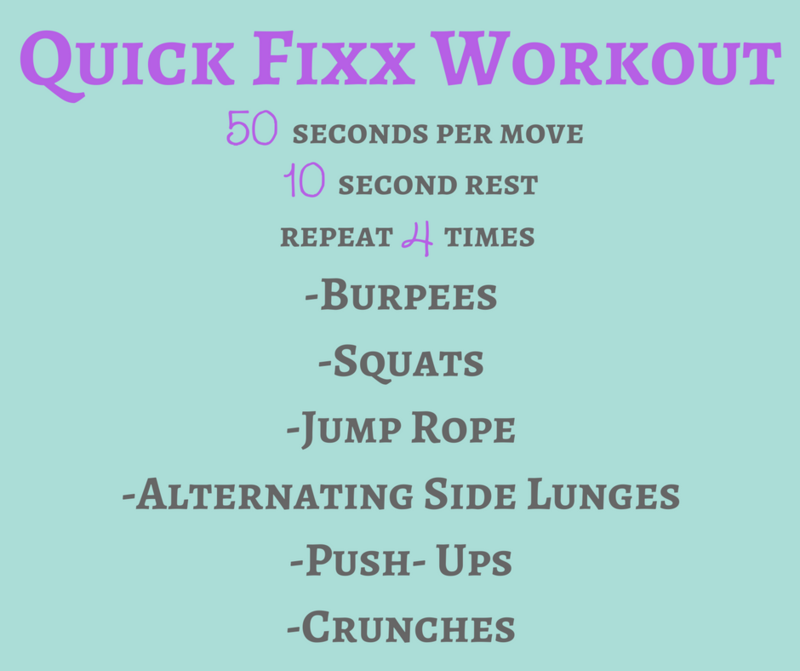 Here is a Quick Fixx workout for you to do at home, at the DAHLC or even on a vacation. All you need is your body and some grit! Reminder to start with a 5-minute warm up and end with a 5-minute cool down. Keep this one bookmarked for those busy days! For more workouts, click here.